The Good: There was blood, comedy, drama, and more blood. ALL of the actors did a phenomenal job. Samuel L. Jackson and his "Stevie" character (may as well have been Uncle Rukus from the The Boondocks) will definitely have you either hating him or laughing. There is a lot of use of the N-word and such, but people must keep in mind that this movie was done with the intent of it being during one of the most UGLY times in American (if not even human) history...AND it was in the South of all places. The Bad: I honestly had the hardest time finding something negative to say about the movie. Simply great! Just think of Kill Bill meets Roots and that pretty much sums this movie up. 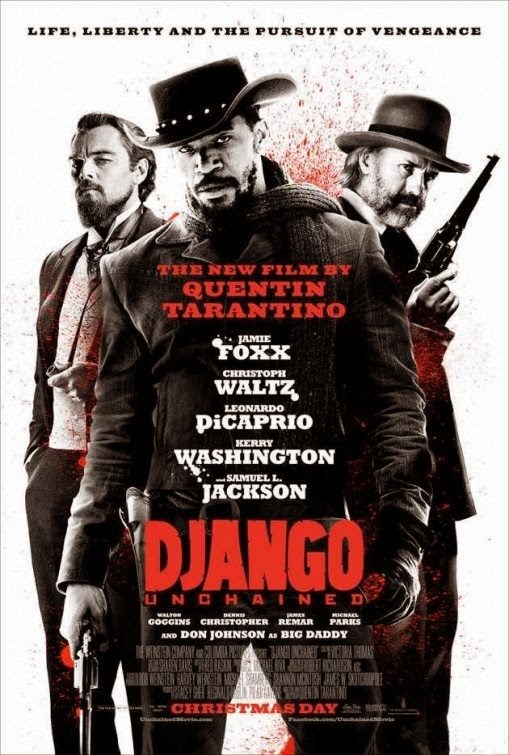 This was yet another CLASSIC Quentin Tarantino film. This is a DEFINITE must watch. If racial issues bother you, you may want to steer clear of this. Buy it, download it, whatever. Just see this!